Lots of cool things on the telly tonight! As a big "Mad Men" fan, I have appreciated the talents of John Slattery, who plays hard-drinking, womanizing ad exec Roger Sterling. Slattery contributes a guest voice to tonight's episode of "The Simpsons" in an episode called "The Man in the Blue Flannel Pants" where he plays, yes, an ad man. That's tonight on Fox at 8 Eastern/7 Central. As it happens, Slattery also appears in the Matt Damon/Emily Blunt movie "The Adjustment Bureau," which is available on Comcast's On Demand feature for $2.49 until November 30th. Slattery is a black-hatted bad guy who works for the mysterious all-powerful agency (or whatever they are) who run everybody's lives and keep coming after Damon's character for exerting free will instead of going by "The Plan." So if you totally need a John Slattery fix before "Mad Men" comes back in 2012, you can double up with "The Simpsons" tonight and "The Adjustment Bureau" before the 30th. Plus AMC is rerunning "Mad Men" episodes from last season early on Sunday mornings until the new season begins (finally!) in March. I'm too late to warn you about this morning's episodes, but next Sunday, December 4, AMC offers "New Amsterdam" and "5G" (which are episodes 4 and 5 from the first season) at 5 and 6 am in my Central time zone. I am loving the new show "Once Upon a Time," a fairytale/real life collision kind of show, where Snow White (played by Ginnifer Goodwin) and Prince Charming (Josh Dallas), as well as an Evil Witch (Lana Parrilla) and Rumpelstiltskin (Robert Carlyle), have lives we see in flashbacks in the Fairy Tale world, as well as alternate identities in a weird little town called Storybrooke located in Maine. 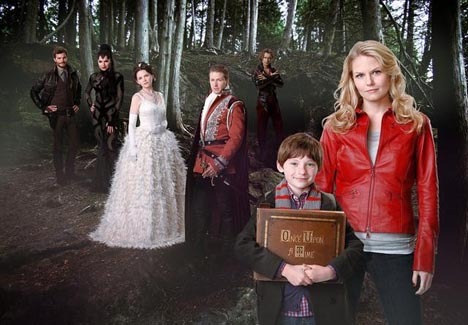 Tonight's episode involves Jiminy Cricket (played by Raphael Sbarge) and how he came to be, plus a mysterious sinkhole that opens up in Storybrooke after Our Heroine (Jennifer Morrison) accepts a deputy of police badge. It airs on ABC at 8 pm Eastern/7 Central. 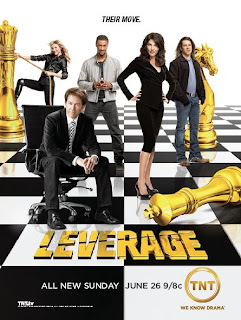 I also like "Leverage," a smart and snappy show about con people working for good that airs on TNT. (I'm a sucker for this sort of thing, going back to "It Takes a Thief" in the 60s.) "Leverage" starts its new season tonight at 9 Eastern/8 Central. Tonight's episode of "Leverage" is "The Experimental Job," with this plot summary from TNT's site: "When homeless veterans in the Boston area begin disappearing, the team must go back to college and infiltrate the world of Skull & Bones secret societies." 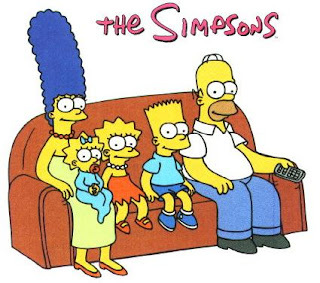 There's also a "Walking Dead" marathon and its mid-season finale tonight, but I'm not so big on gore and splattered brain matter, so... Yeah, I'll stick with "The Simpsons" on DVR, with "Once Upon a Time" and "Leverage" live.